Hioki AC/DC clamp sensors are best-in-class devices for use with power meters, Memory HiCorders and high performance oscilloscopes. 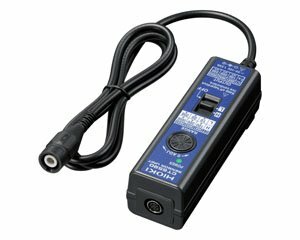 The CT6590 is a power supply attachment for the CT969X Clamp On AC/DC Sensor series when the sensors are not directly connectible to the main measuring instrument. ±1.5 % rdg. ±1.0 % f.s. (DC ≤ f ≤ 66 Hz) ±1.5 % rdg. ±0.5 % f.s.